When we understand our clients' story through the lens of their cultural background, it illumines opportunities to help them. But too often, cultural misunderstandings hinder healthy interactions, either through unintentional offenses or the avoidance of issues. And if you lose your clients' trust, you also lose your opportunity to bring them therapeutic breakthrough. 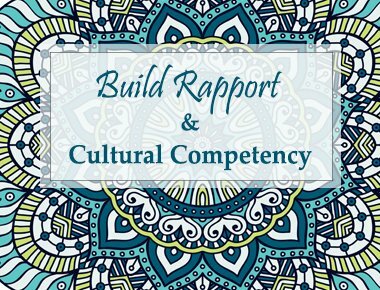 It's time to become more culturally competent so you can create positive clinical changes and feel confident in your ability to guide clients from any culture to therapeutic success. But to do so we must first understand our own cultural story and how it contributes to our identity as individual clinicians, healers, colleagues, and administrators. These FREE Multicultural Worksheets will help you understand your own cultural identity by exploring the beliefs and experiences that have shaped your views. By assessing these areas, you can improve and grow as a clinician to more effective with your treatment. Don’t let cultural misunderstanding hinder relationships with your clients, take the first step toward multicultural awareness and competency by completing these exercises. 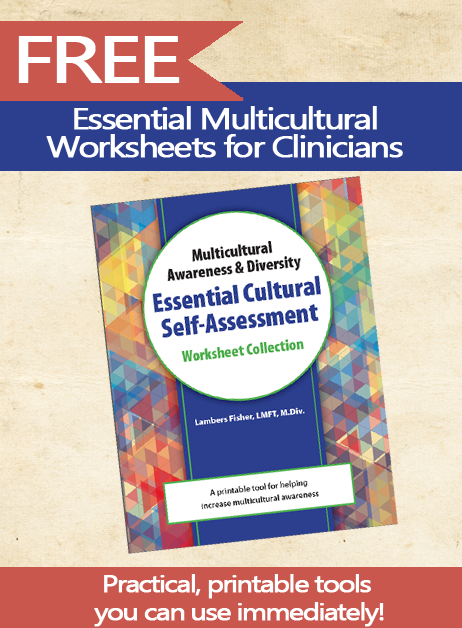 Please share these free worksheets with your friends and colleagues and don’t miss our NEW online course: Multicultural Awareness. Lambers Fisher, MS, LMFT, MDIV, is a marriage and family therapist who has counseled individuals, couples, and families from a variety of cultural backgrounds, in private practice, non-profit organization, as well as ministry environments. He has a strong desire to help counseling professionals in various fields feel more comfortable, competent and confident in their ability meet the needs of whomever they have the opportunity to serve. Lambers’ training experience includes facilitating workshops, guest lecturing, as well as being an adjunct instructor at Crown College on various aspects of diversity in counseling. Lambers supervises aspiring therapists as a board approved supervisor for the Minnesota Board of Marriage & Family Therapists as well as the Minnesota Board of Behavioral Health.